Decorated with oriental mystic elements Hanaiachi offers the authentic Japanese dining experience. 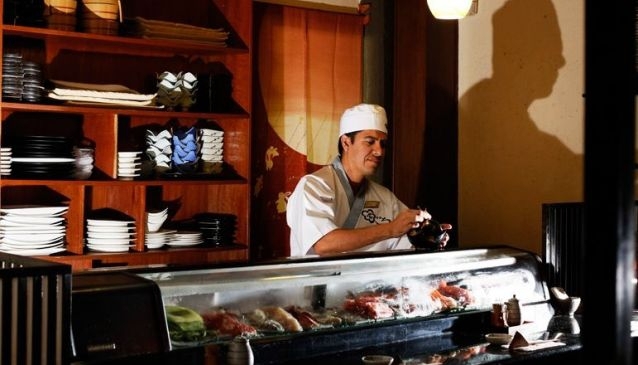 The chefs are renowned world-wide and prepare the best sashimi, nigiri, and plenty of sushi rolls however the customers prefer. The specials of this restaurant include Copan Roll which is a deep fried shrimp wrapped in cucumber and Cancun Roll- stuffed with eel and scallops. Haniachi is a two-story restaurant and features an excellent Sushi Bar on the ground floor and an intimate dining area on the second floor. You can try interesting appetizers as Edamame, Guy Tataki, fresh salads that include avocado and other exotic fruits and also delicious soups such as Caribbean soup and Miso Shiru. Feel like you dine in Japan and try exquisite food prepared with the secrets of the Orient filled with amazing scents and spices. This restaurant is located just across the Plaza Caracol right in the centre of the lively zona hotielera.